Jason Rabinovich concentrates his practice in the areas of real estate and business law. Specifically, Jason has experience in commercial litigation, complicated real estate and business disputes, contracts, arbitrations, and general corporate matters. Jason also has expertise in managing legal affairs as outside general counsel for various national and local companies. Jason is admitted to practice in Florida, Pennsylvania, New Jersey, and New York as well as the Federal and Bankruptcy Courts in the Eastern and Western Districts of Pennsylvania, the District of New Jersey, and the Southern District of Florida. 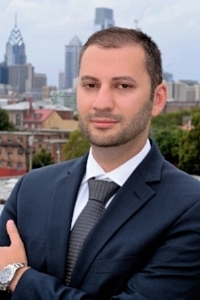 Jason is also an active member of the Philadelphia Bar Association. Jason has broad experience in handling matters in state and federal courts in numerous states. Jason has successfully tried and argued full trials, including complex business disputes (both plaintiff and defense), copyright cases, real estate disputes, and other civil litigation matters. Jason is also well versed with complicated real estate transactions, both commercial and residential. Perfect 5 star rating on Yelp from his clients. Invited to present as a panelist on the topic of “Real Estate Development Law” at a CLE program hosted for other attorneys and professionals. The program is hosted by The National Business Institute. Presented as a panelist on the topic of Act 135 Conservatorship Litigation hosted by First Trust Bank for real estate professionals. Jason grew up in Pittsburgh, PA where he attended Taylor Allderdice High School. After graduating from the Pennsylvania State University Smeal College of Business with distinction with a Bachelor of Science in Finance, Jason attended George Mason University School of Law in Arlington, Virginia, where he earned his Juris Doctorate (J.D.). In 2013, Jason was elected to the George Mason University School of Law Alumni Board of Directors and is proudly serving on the Board of his alma mater. Jason is fluent in English and Russian.